If you have followed me for any time at all you probably have figured out that I am extremely reliant on dust extraction for the majority of my work. I depend on dust extractors on almost every aspect of every job. Over the past 30 years, I have had too much exposure to all the really horrible construction dust types. Looking back, it’s scary to think how much silica, asbestos, lead and wood dust I have inhaled over the years. Some have poked fun at me for the time it takes to run dust extraction while working. I have to admit, I have been guilty of the same sentiment in former years. Like many younger ones I felt invincible and that anything that got lodged in my lungs would eventually work it’s way out if I coughed enough. Older and wiser, I now consistently use an extractor at every possible opportunity. It really doesn’t matter if I am cutting drywall out on a water or mold damage job, grinding concrete for a tile install, cutting sheet goods for a cabinet build or sanding I almost always use dust extraction. Credit goes to Festool for helping me to open my eyes and see the need for quality dust extraction. Festool CT extractors were the first high-end vacs I bought. They do an excellent job and fit very well in my shop and in my job site workflow. I rate them as my favorite dust extractors for finish work but there are a couple things I must mention. The disposable fleece bags are very effective at filtering the majority of particulates before the air passes through the HEPA filters but they are expensive to purchase. Depending on usage you can go through several in a very short time. That cost adds up. You can also buy a long life bag but they are extremely expensive and expose you to all the dust contained in them while you empty them. The other thing that I must consider with the Festool extractors is that they are not really OSHA compliant for silica at the time of this writing. Because of this I use them only for non concrete and tile related jobs. With the Vc4710 and it’s self cleaning filter system you can pretty much use and empty the vac repeatedly without ever buying a bag of any type. There are plastic bags available if you want to use them for ease of emptying the canister. For full containment you can buy the fleece bags if you want to. I opted to run my VC4710 with no bags at all. The purpose was to see how the extractor would perform in the shop and on site with just the filter cleaning system. I have been nothing but impressed with the excellent performance over the past year. It is extremely effective no matter what I throw at it. We use several high-end extractors from top-tier companies including DeWalt, Bosch, Fein, Metabo, Milwaukee and Hilti. 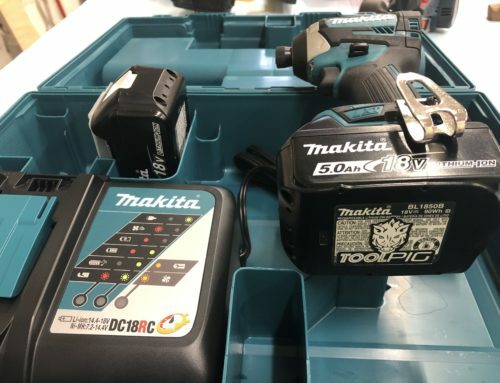 This Makita has consistently performed at or near the top of this group for suction power and debris cleared. It seems to have among the most consistent suction whether the filters are new or heavily used. The power is also the same whether the tank is completely empty or almost completely full. While most of the high-end extractors perform really well at keeping up with the tools doing the cutting, grinding and sanding. Some lose more power than others during the cleaning cycle . The VC 4710 has 2 separate filters and cleans one at a time during the self clean cycle. Because of this, one filter is always working to allow the vac to retain more power during auto clean. This means you will have much less dust escape the tool during cleaning. All auto clean extractors produce noise and they all produce even more noise during the filter cleaning cycle. 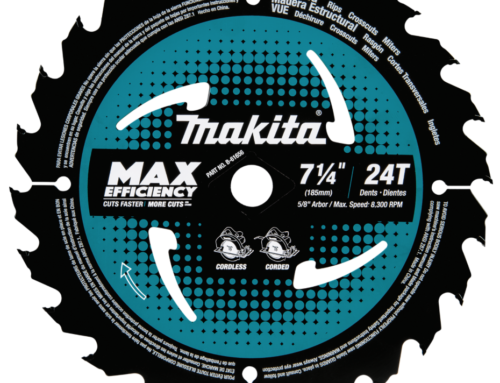 One thing that you will notice right away with the Makita is how low the noise levels are. I am pretty sure it has the lowest noise levels of any of the readily available self-cleaning units. If there is a unit from these tool companies that can match it during normal operation, it falls behind during the auto cleaning cycle. 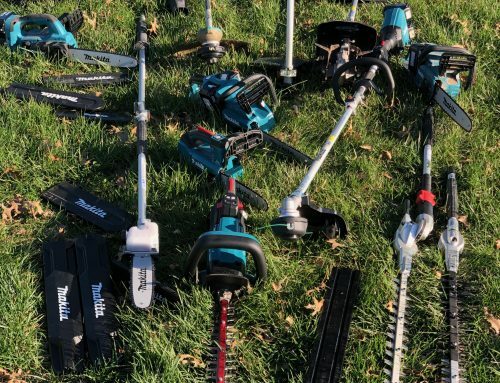 The loudest cleaning cycles are found in the Hilti, Fein and Bosch. They produce a loud thump 3 times every 10-20seconds. The thumping is strong enough that you can feel it from several feet away. It can even give me a headache with prolonged use. This may or may not bother you on a noisy job site. 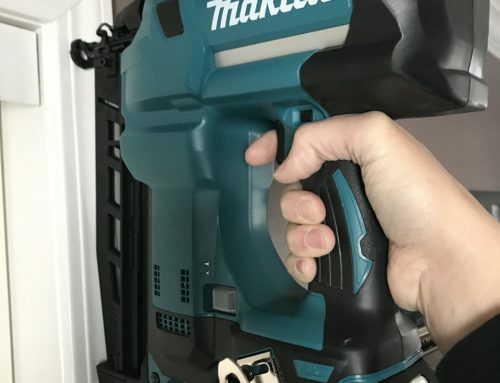 If you think it may bother you I suggest looking very closely at the Makita. The filter cleaning cycle on the VC4710 is by comparison a very small tapping noise which is audible but very unobtrusive. Cord and hose management is always important with any extractor. The VC4710 has an effective provision for both. There are tough plastic ears molded into the upper cover to wrap the cord around and hold the extra long 16’ antistatic hose. There is also room for attachments in the top. The vac can be switched on manually or with a power tool plugged into the on board receptacle. It is variable speed to match the task at hand. For cutting and grinding you probably want full power. 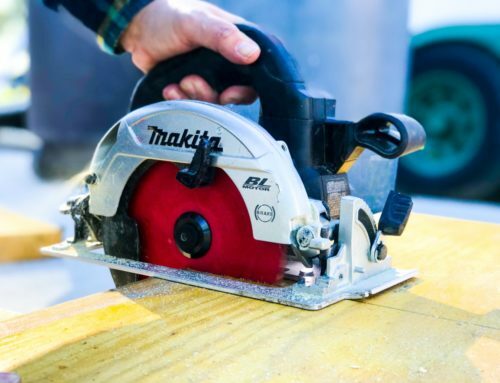 For sanding you probably want to dial it down to a lower level to avoid too much pressure on your sanding pad. Too much pressure can cause swirl marks or rougher work. It can also wear your abrasives out faster. The on board receptacle has a power tool rating of 6 amps max. You may find like we did that it works with larger tools. We must keep in mind that you will most likely damage your tool from limited amperage and the resulting voltage drop since the cord is 16 Ga. If your tool has a higher rated amperage you really should run it on a separate circuit. This will give best performance and will protect the tool and the vac from overload. It will also save you trips to the breaker box. There are a few extractors available with larger 12 to 14 Ga cords They are all more expensive. Some are from Hilti. The others are from Festool. This vac is taller than most in its class. It looks top heavy but we haven’t had I any issues with tipping. It may fit better in your storage spot than others or maybe not. The one thing I’d like to see is a way turn the auto clean off at least for a time. The vac is extremely quiet on the lower levels but it ramps up the speed to high for each cleaning cycle no matter what the speed is set at. This adds noise even though it is quieter than most other auto clean extractors it is still noticeable since it is so incredibly quiet on lower speeds. Some caster brakes would also be handy to keep it from rolling during transport. No tool is perfect. After using it for over a year in many different applications, I can confidently say the VC4710 is pretty darn close. I feel it should be at the top of your list or at least close to the top if you are considering a dust extractor purchase. My heart and lungs are ready to take the leap and buy a dust extractor but my pocket book is not quite there. Thanks for the info and review. Amazing and thorough review! I’m gonna look into purchasing this extractor right now. Thanks!! Thanks for the awesome review. I especially appreciate the time given to use before writing this incredibly thorough review. Once again I am Challenged to consider other options! Thanks again!